Share Historical or Interesting Kit you own. I thought it might be nice to share any interesting or historical military kit you own. 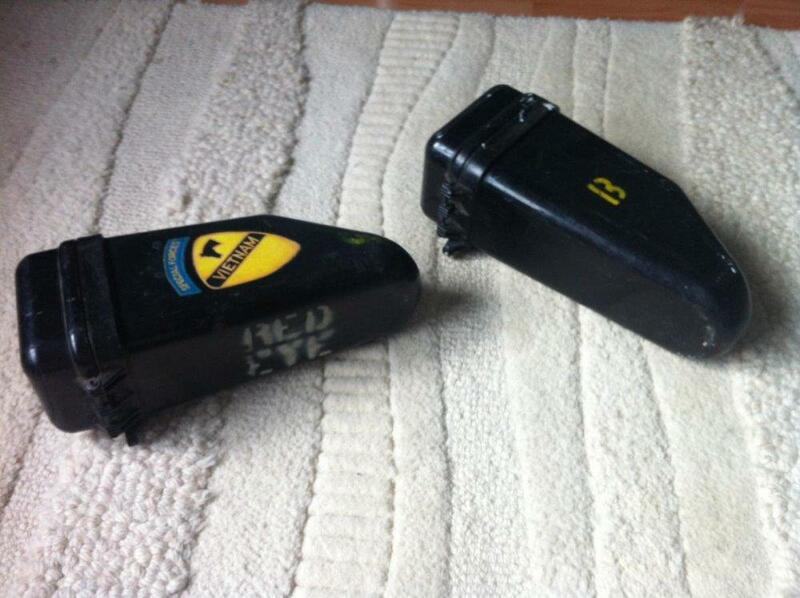 Perhaps some people are collectors or have interesting things handed down through the family they would like to share. I always enjoy seeing interesting bits of kit and the history that goes with them. Im not a collector of militaria at all but ive always been interested in military history. A close friend of my family is half British and half American and when he learnt i was studying the Vietnam war as a part of my school history course (so many years ago now haha) he came over to the house one day because he wanted to show me some kit he had from the Vietnam war. This is what he brought and ended up giving to me. 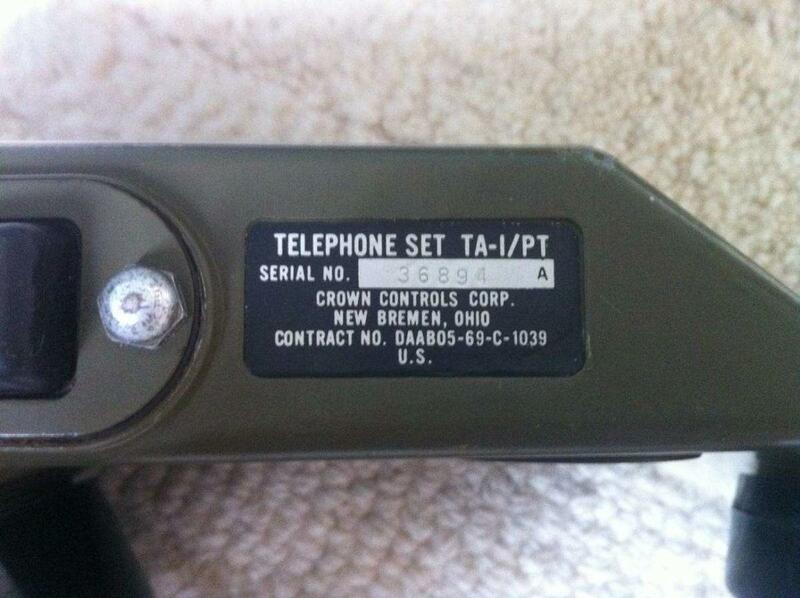 So yeah they are US 'sound powered' TA-1 field phones. He explained to me his uncle had served in the Vietnam war, brought these home with him and gave the to him. He was not sure of the unit his uncle was in but from the sticker on the Radio case he assumed it was related to the air cav. He clearly rememberd his uncle having terrible nightmares and having a dislike of almost any loud bang. At the time it seemed strange to him because he was young and didnt understand but ofcourse we now know it was symtoms of PTSD. 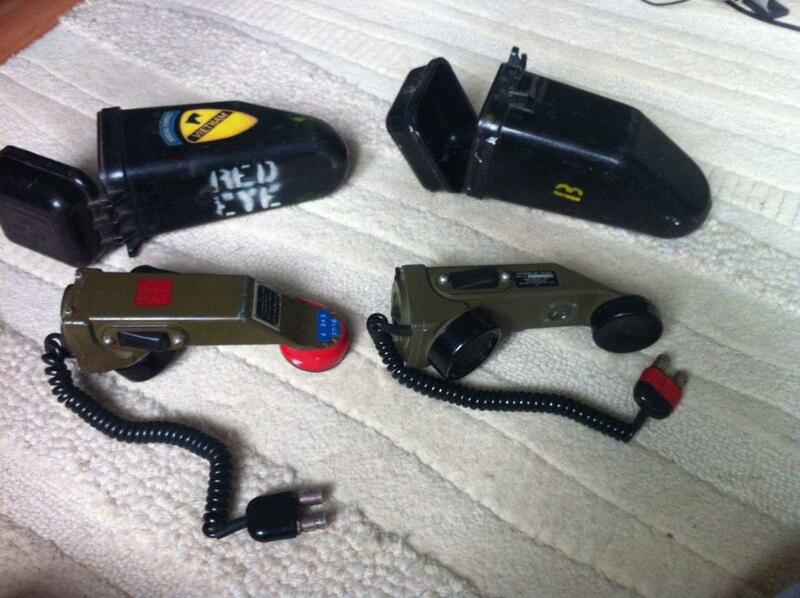 As a kid he played with these field phones allot. He told me he did not add any of the stickers that are on the phones and sets, whether his uncle added some post war he is unsure. 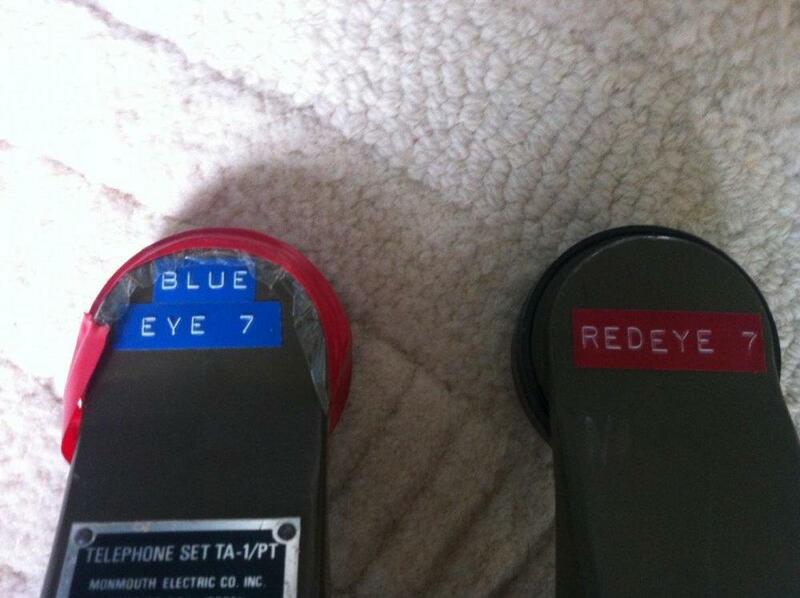 But I assume the 'Red eye' and 'Blue eye' call signs are genuine. The special forces sticker i have no idea. 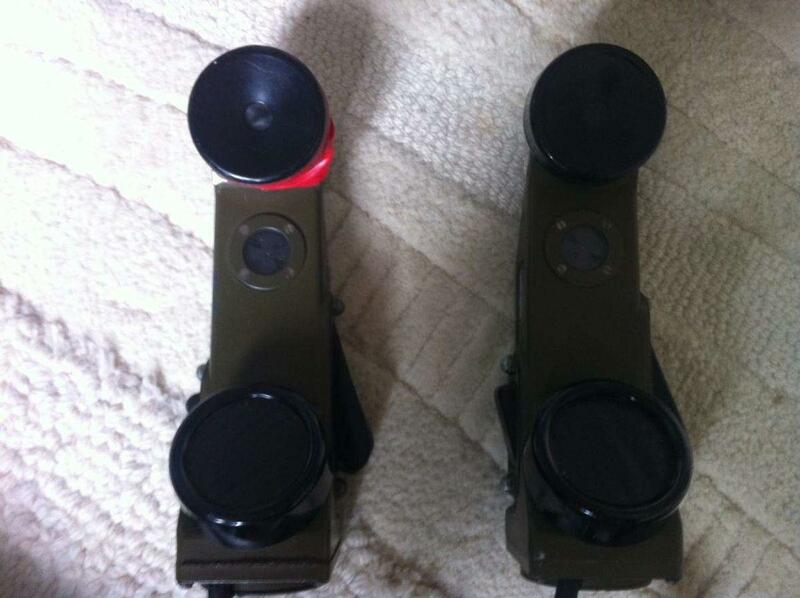 Ok so a little about the phones, they dont need any external power source, if you look at the picture there are two rubber buttons on either side. The larger one is the 'generator lever', you push it around half a dozen times and it builts up a charge,if the phones are connected via wire (any 2core wire works) as you crank this the other phones on the line will croak. Thats about the best way to describe it, it doesnt ring but croaks. Similarly on the receiving phone they have a little visual indicator in the center that turns red, so in the case you have the 'croak' volume turned to zero, you can visually see you are receiving a call. This visual indicator will remain red until you answer. When you think about it its great, because if you were away and missed the call, the indicator is still red showing you missed the call. The other smaller button is the 'push to speak', it does what it says on the tin really, but you just have to remember to release the button when you finish speaking otherwise the other party cant talk. A fun little trick is to crank the the generator and then attack an unsuspecting person with the wire connectors at the end, cheap form of electro therapy. Ive read these can be used in larger networks using Switchboards, TA 312 field phones and power supplys to increase range. The good thing from my understanding is they are safe in the sense unless some one literally splices into your line they cant intercept what you are saying. But ofcourse if someone cuts your line your in trouble. Everytime i look at these i always wonder if they really did go to Vietnam and try to imagine the history behind them, its a odd feeling holding something that may have actually been there, a physical connection with the past. Sorry im getting rather deep here but im sure someone understands what i mean. Anyway thanks for reading, it would be great to see if anyone else has stuff to share.